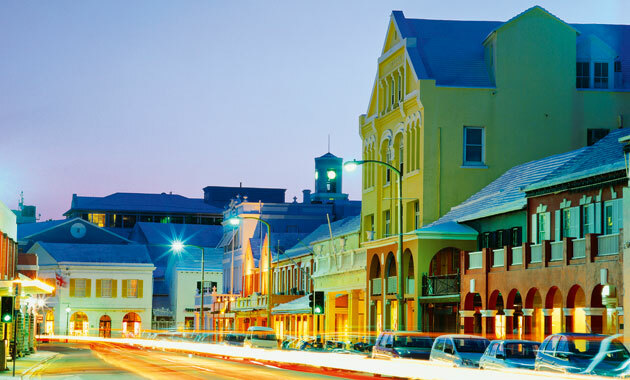 Bermuda has long been one of the world’s leading financial centres, offering high-level financial and professional services to the global business community. Bermuda’s regulatory track record dates back to the 1930s and, while the world has changed and there is more competition among offshore centres, the need for international businesses to have flexible financing at a low cost in a jurisdiction that doesn’t compromise on regulatory standards is more pressing than ever. Many people know Bermuda for the relative low cost of business that it offers. But just as important as the competitive cost advantages are the island’s standards of regulation and transparency – none of which could be achieved without high quality legislation and implementation. Bermuda’s corporate law is flexible and largely based on British Common Law; as such, it has an exceptional reputation for regulatory excellence. Of course, Bermuda is only able to achieve this by ensuring that the government and private sector work together. The Government, the Bermuda Monetary Authority, Business Bermuda and the business community work collaboratively to ensure that Bermuda’s corporate legislation retains its integrity, is up-to-date and in keeping with international corporate developments, without the need for overly burdensome regulation. A perfect example of this is the Amendment Act introduced last year to the Companies Act (1981). These changes provide the opportunity for more simplified administration, widened accommodation for paperless share transfers for listed shares and an enhanced choice of corporate structures for M&A. Through this collaborative approach, the Companies Act (1981) has been modernised in its most significant update since 2006, a move that not only improves ease of business, but also enhances Bermuda’s attractiveness as an international financial centre. The Amendment Act also demonstrates Bermuda’s ability to provide a flexible environment where legislation responds to how businesses work, rather than how regulators imagine they work. The act initiated a more flexible approach to corporate governance, not only by widening the scope of corporate directorship to include people, partnerships and companies, allowing for a greater level of continuity for company boards. Furthermore, the minimum number of directors required has now been reduced to one. These new provisions also demonstrate Bermuda’s commitment to ensuring that legislation doesn’t create requirements for bureaucracy that increase costs without benefits. While for many firms, the Annual General Meeting (AGM) is an important occasion to communicate with investors, for some businesses the AGM can be inefficient, imposing extra costs without benefits to shareholders or management. The Amending Act offers companies the ability to improve efficiency and reduce costs by giving them the right to waive AGMs. However, to ensure there is no drop in corporate governance standards, the right of the shareholder to call an AGM is fully protected; it is only the unnecessary AGMs which will be affected. So what does this mean for Bermuda? The elements of the Amending Act outlined above, as well as the reform of securities and solvency laws, are focused to ensure that legislation continues to act to stop real threats to the stability of the system rather than simply ticking boxes. This is in no way the end to the amendments that Bermuda will make to its legislation or will undertake to make itself more attractive to the global financial community. This latest amendment is simply part of an ongoing, dedicated effort to move with international updates to regulation and, in doing so, Bermuda will introduce revisions to corporate legislation that can only serve to facilitate and increase the flexibility of doing business in Bermuda. Bermuda works with all of its stakeholders to provide a secure, transparent jurisdiction where businesses can thrive.